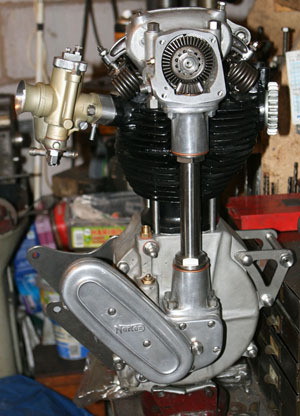 Written 2010/2011: This short series of articles cover the engine build of a 1937 500cc iron engined Norton International engine that I carried out in 2010-2011. The engine is to go in a roadgoing rigid Norton International I am building which will be almost starndard specification, other than the frame is in Racing International specification. As at this time of writing (Spring 2013) the engine is complete and the bike is in large lumps. 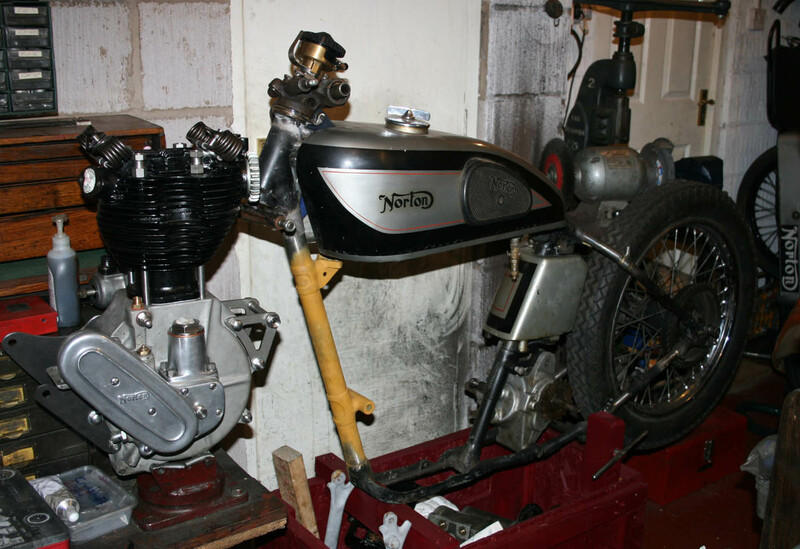 I am in the process of building the wheels and will shortly start a light renovation of the gearbox before trial assembling and then painting the chassis.